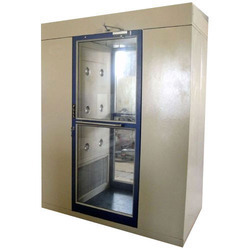 Leading Importer of air shower, fume hood, vertical laminar airflow and horizontal laminar airflow from Chennai. Air Shower is a self contained factory assembled system,designed to deliver a spray of moving air at 20-25m/s,from adjustable nozzles in the ceiling abd opposing walls. contaminated air is than taken through the base of the unit. The illumination level will be 100 foot candles.while the system is in operation,both door will be automatically locked. In the event of power failure or in an emergency,the doors can be opened manually. We have gained a remarkable position in the market, we are involved in providing a quality tested range of Fume Exhaust Hood to our precious customers. This Fume Exhaust Hood is manufactured under the guidance of our experienced professionals using optimum quality material. This product is available at industry leading price to our appreciated customers. 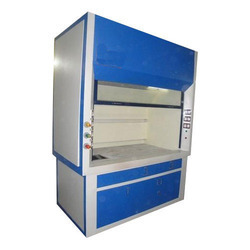 We have carved a niche amongst the most trusted names in this business, engaged in presenting standard quality assortment of Vertical Laminar Airflow Workstation. 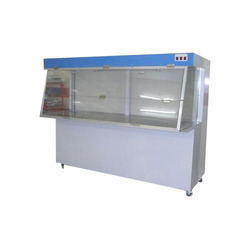 This Vertical Laminar Airflow Workstation is widely demanded in commercial places and residential places. Our appreciated customers can avail this product at pocket friendly price. 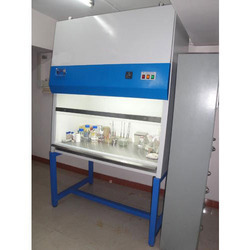 We have been counted amongst the most trusted names in this domain, engaged in providing excellent quality range of Horizontal Laminar Airflow Workstation. This Horizontal Laminar Airflow Workstation is widely applauded for its optimum performance. This product is stringently tested on varied parameters by the quality controllers to ensure their flawlessness. Looking for Biotech Lab Equipment ?